I had my first contakt with a radio in 1982. After several years on the CB-band I made my first licence in 1991. The call was DC3QB. In 1998 I made the next higher licence and changed the call to DH5MK. 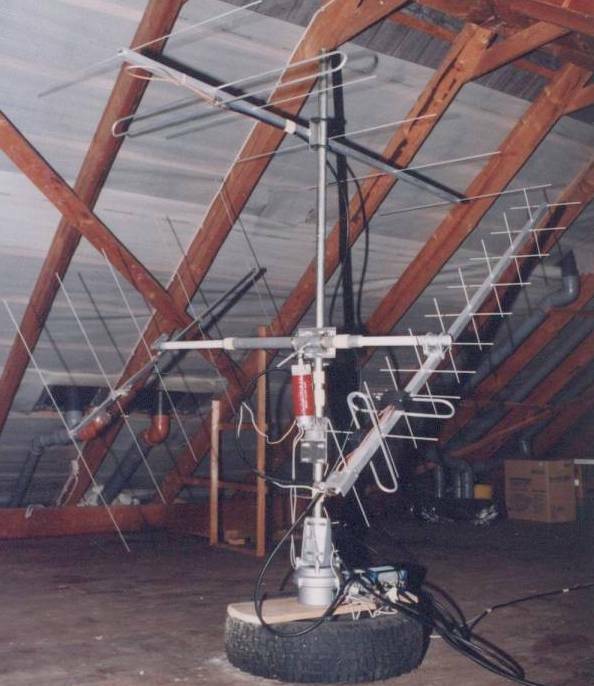 Over all the years I just use small, homebrew antennas, positioned under the roof. I used them over all bands from 20m -> 70cm and especialy over satellite! I startet on 2m with just a "big wheel" and 25W (ODX around 1000km). After trying several antennas, for example a 3ele. quad, 9ele F9FT, I finally build a 6ele. with 2m boom witch was used over 10years. It was good for many QSOs via tropo, meteor scatter, sporadic E and aurora (190 squares). The first 70cm antenna was a 10ele. DJ9BV followed by a 2x10ele. DJ9BV. It could be switched from vertikal to horizontal. It could also be elevated up to 60deg. 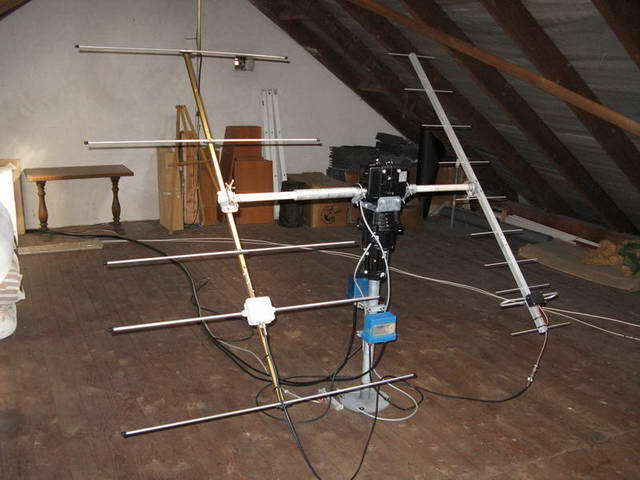 In 2008 the antenna system changed to shown constallation. Rotor is a KR5500B, antennas are 2m 5ele. DK7ZB and 70cm 9ele. DK7ZB. The system is turnable 450deg/180deg and is fully controlled by PC, running SatPC 12.7 from DK1TB (thank you Erich !!) The rotor interface is a HalloRotor USB from DB3DH.